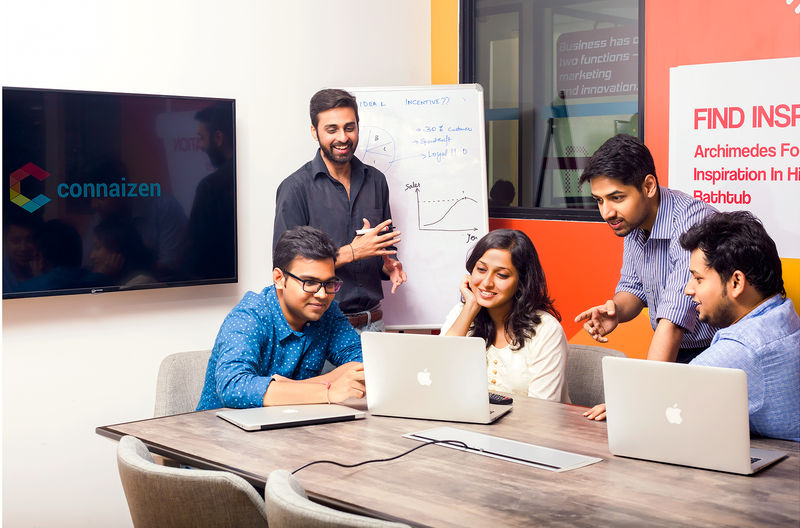 Founded by Iqbal Kaur and Abhi Yadav, DataXylo is a venture backed MIT spin off. With its patent pending self-service Cognitive Customer Intelligence Platform (CIP), it is helping Omni-channel marketing operations to continuously collect, combine and enrich customer data in a nonlinear way. And these data sources include organizational data silos as well as external sources. With a dynamic segmentation and just-in-time insights, the company is driving revenue maximization with bottom-up analytics. Believing in delivering the best to its customers, DataXylo is committed to make customer insights available on the fly to business and marketing users to plan action at the right time through the right channel and content. While this is promised many a times, it rarely gets delivered in reality as either the data is flawed or the software has some limitations! With DataXylo’s Customer Intelligence Platform which uses a bottom-up approach to unify and enrich relevant data attributes from various data silos (captured in hundreds of applications, data warehouse etc. ), DataXylo has an upper edge. This ensures one to leverage all their data for doing analytics & Predictive Marketing use cases. In addition, machine intelligence ensures that business saves time & money and accuracy is ensured. Iqbal comes with 19+ years of Industry experience primarily in Predictive Analytics for Retail and Customer Analytics. She has built data science capabilities for multi-billion dollar organizations while developing analytics solutions across Retail, High Tech and Consumer business. She comes with numerous years of Analytics leadership roles at GE, Target, and Lowes before co-founding DataXylo. “DataXylo has several customer use cases where the platform is used on top of client’s existing Data Management layer. This ensures that data quality challenges are addressed for effective Analytics and Campaigns”, says Abhi Yadav – Co-Founder & CEO of DataXylo. He adds that “The Platform’s AI backed engine enables continuous enrichment of customer data attributes in a non-linear way – hence making the analytics and insights much deeper, effective and better over the time”. A serial entrepreneur, data technologist and marketing analytics expert, Abhi has also launched MIT Startup Accelerator in India and has 16+ years of Industry experience with a decade plus as an Entrepreneur while building and managing fortune 500 companies Analytics capability. He is a recognized thought leader and speaker on AI in Marketing. He too has worked in past with GE and is an Engineering graduate and MBA from MIT. In addition to the highly experienced founders, DataXylo flaunts an impressive list of Investors, Board member and Advisors including Michael Cusumano – (Sr MIT Professor), Mike Kail – (ex-CIO Yahoo), Michael Fleishman (Twitter Board Member), and Serial Tech Entrepreneurs like Deepak Taneja, Doug Levin etc. Building a highly impressive customer base of Fortune 500 clients within Retail, High Tech & Financial Industry, in a very short time, DataXylo has come a long way. The founding team comprises of data technologist, marketers and data scientist with decades of proven industry leadership across Enterprise business. On a concluding mark Iqbal adds “DataXylo thinks that business must focus on insights and leave the data management, cleansing and analytics on this AI driven platform. One can think of a juicer where one puts all shapes, color, size and quality of raw data to get out the best possible insights on an ongoing basis – without depending on IT or complex software to wrangle huge amount of data”. Why is BIG DATA-AS-A-SERVICE the newest trend in Cloud?